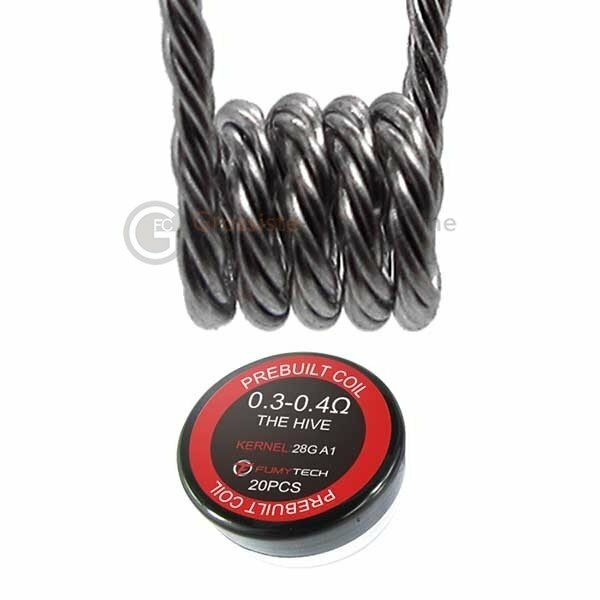 Box of 20 diameter 2.5mm The Hive Coils. Per coil value: about 0,3 Ω or 0,15 Ω in double coil setting. This product is intended for use by experienced vapers. It is essential to use batteries suitable with your build, especially when using mechanic mods. We decline all responsibility in case of any damage resulting from product misuse.